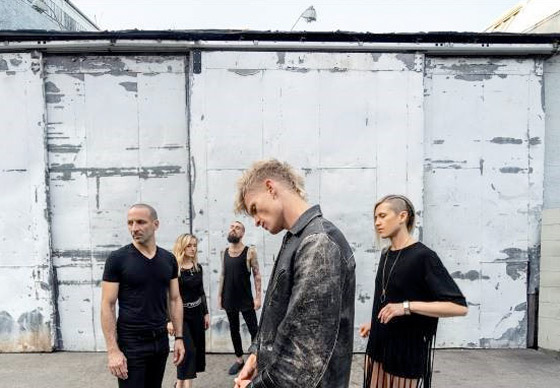 The trek includes loads of dates in Canada and the U.S.
Today is release day for Mother Mother, and to go along with the Vancouver band's new album Dance and Cry, they have lined up a 2019 North American tour. Appropriately dubbed the "Dance and Cry Tour," the extensive trek finds the group playing tons of shows both here in Canada and in the U.S. The tour kicks off on January 12 in Phoenix and will eventually hit Canadian cities in British Columbia, Alberta, Ontario, Quebec and loads in between. You can see the full schedule down below. Tickets will go on sale on November 9. "Now for our favourite part, playing da music LIVE. We love it all, writing it, making it, adorning it with art, but it's letting the songs unfurl into the open air with all of you that truly makes this a dream job," said Mother Mother's Ryan Guldemond in a statement. "Can't wait to bring the songs of Dance and Cry to a venue near you." Dance and Cry is out now, and you can read Exclaim! 's newly published review over here.